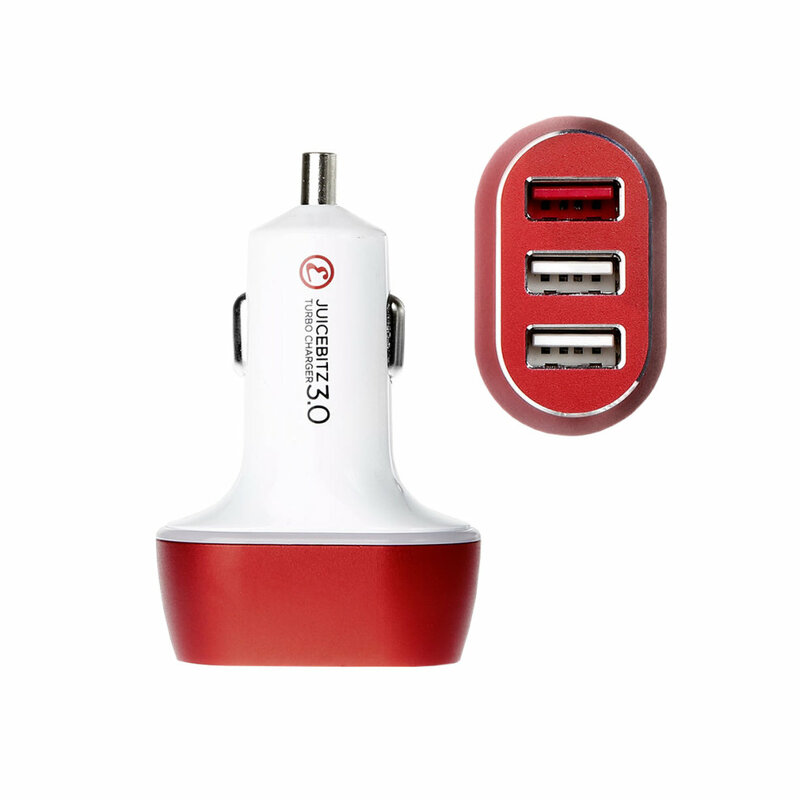 We’ve all had that problem on a long car journey: one device is plugged in, but now the other needs a charge – what to do? 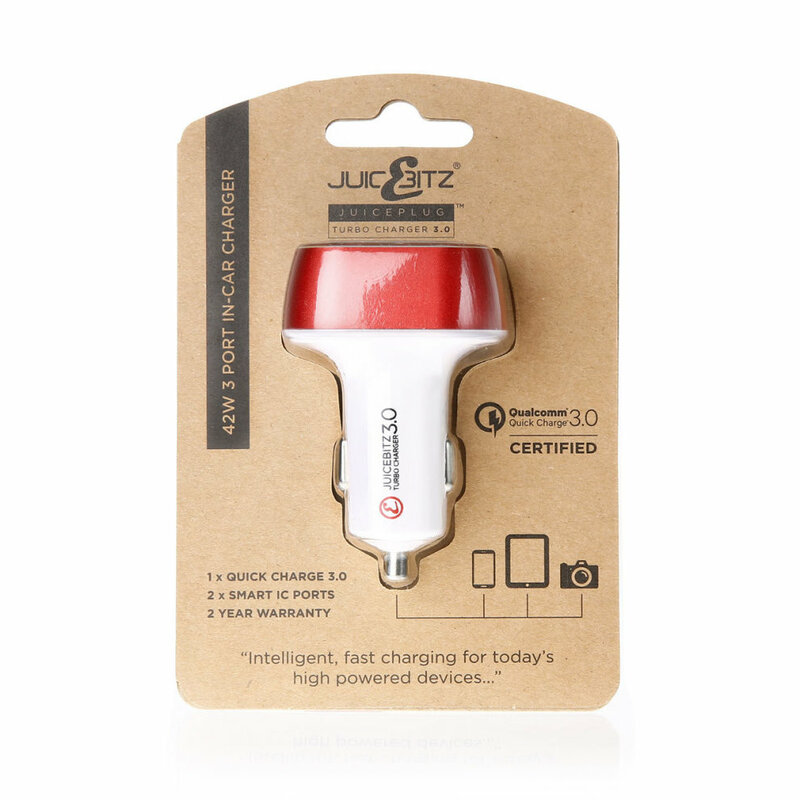 Well, the solution is here in the form of this JuicEPlug In-Car Charger from JuicEBitz that’ll cover all of your charging choices! 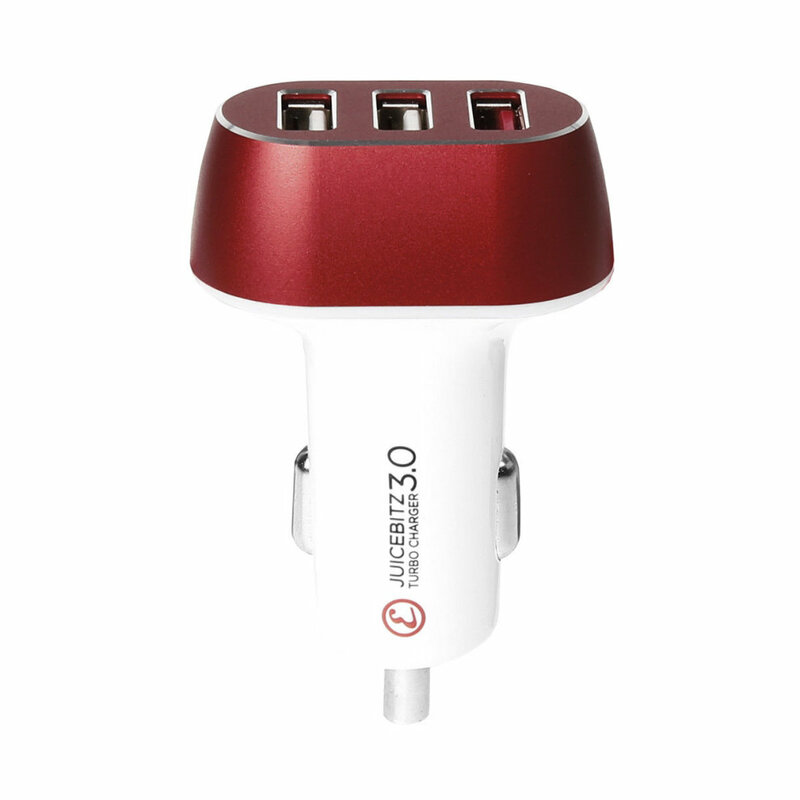 Harness the power of your cigarette lighter by plugging in this unit and gaining the potency of not 1 but 3 USB ports for extreme charging potential. 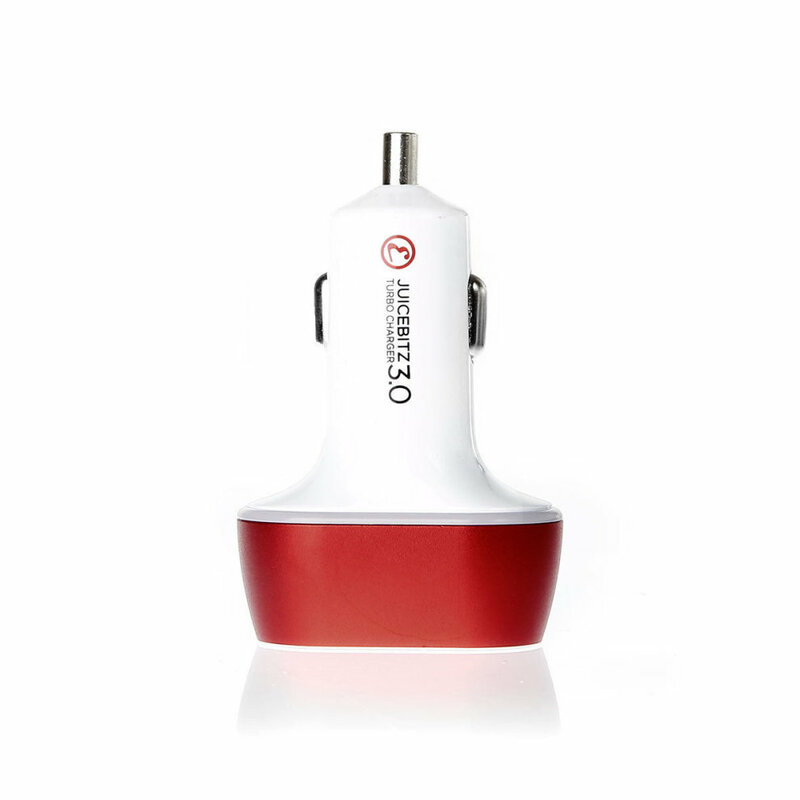 Not only that, Qualcomm Quick Charge is supported in one port, guaranteeing rapid recharge for any of your Quick Charge 1.0, 2.0 or 3.0 compatible devices. If your device isn’t supported, don’t worry: you can still make the most of the other ports thanks to the built-in Smart-IC technology! This super-helpful feature means that everything you plug in charges at the maximum power and speed - whether it’s a Sat Nav, phone or tablet (or anything else!) 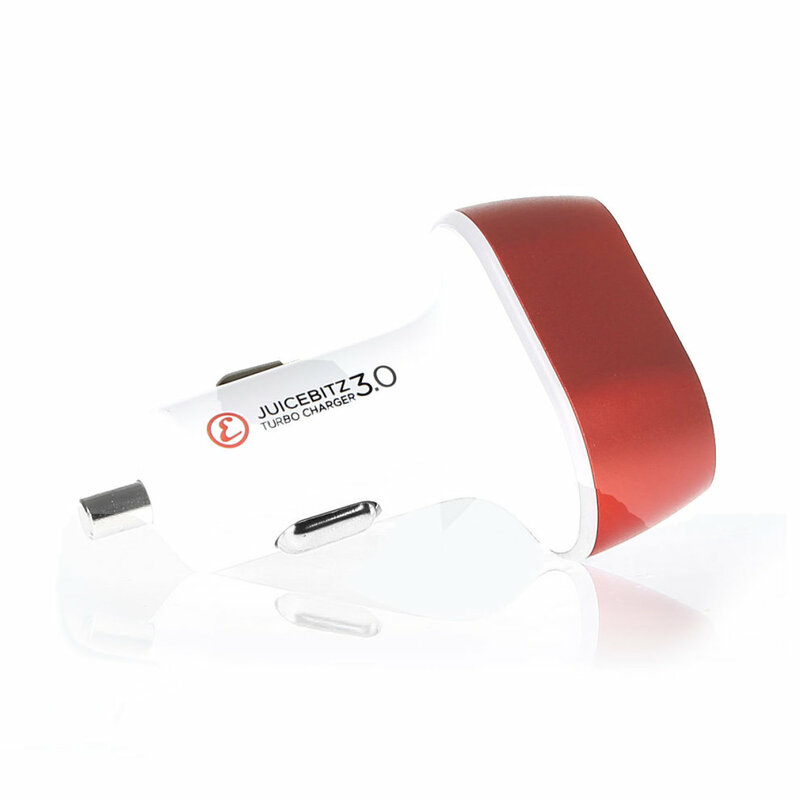 know that it’s charging quickly and safely.